Being a top chef goes beyond loving food. It’s about appreciating the soil and sunshine, how food is grown and what it takes to run a business. It means taking creative risks and constantly adapting. If this is the career of which you’ve been dreaming, start creating now in Loyalist’s on-campus gourmet restaurant, Resto 213. 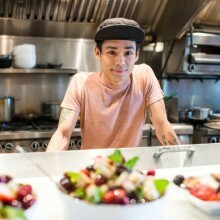 There’s no life like the one of a chef and the opportunities are limitless. • Culinary Management graduates are prepared to work as cooks and apprentices in their choice of establishment around the world. • Opening a restaurant is a high-risk venture. 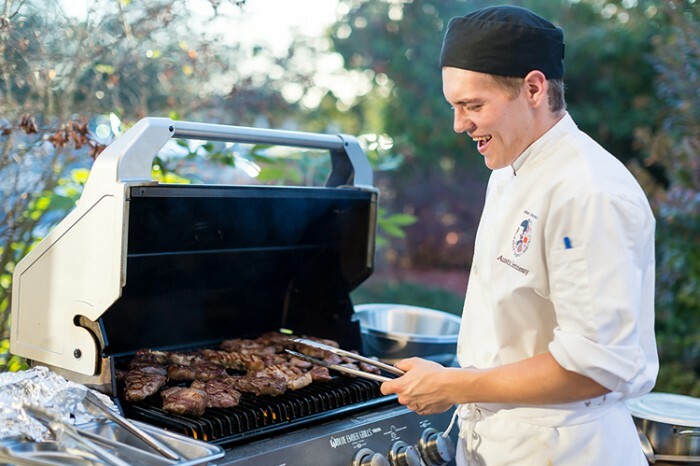 A diploma from Loyalist will prepare you to pursue your dreams with solid skills in culinary technique, marketing and leadership. • Diploma graduates complete the in-class requirements for apprenticeship training. • Following completion of on-the-job apprenticeship outcomes, graduates are qualified to write the exam for Interprovincial Red Seal Certification — an internationally recognized standard of quality. 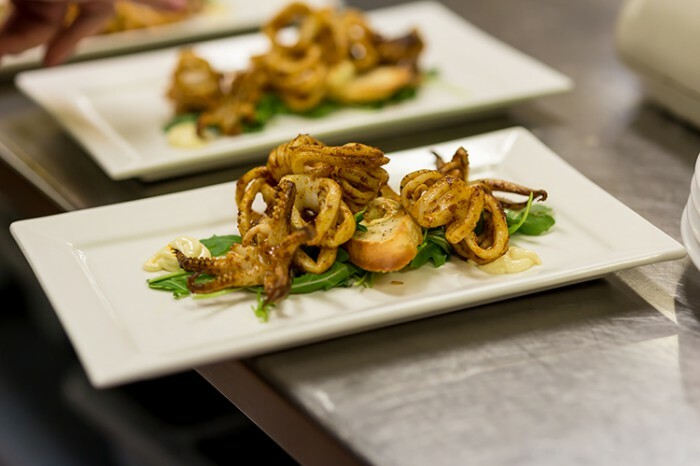 Create and innovate under the guidance of distinguished chefs with a rich appreciation of farm-to-table cuisine. 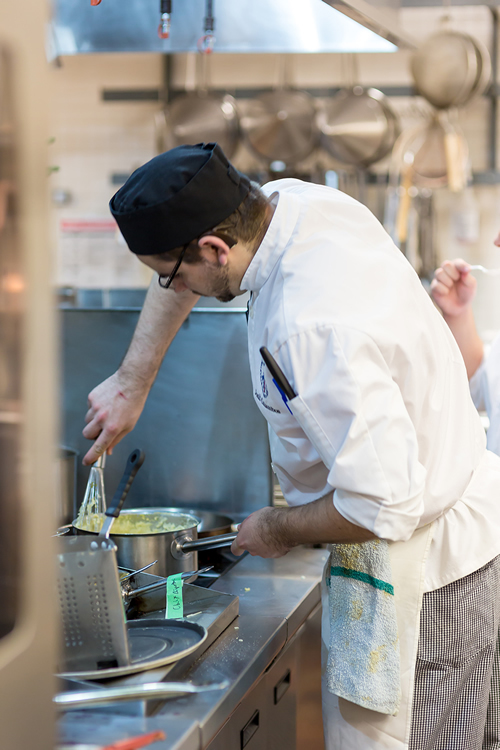 Work in the kitchen and dining room of Resto 213, Loyalist’s on-campus student-run gourmet restaurant. 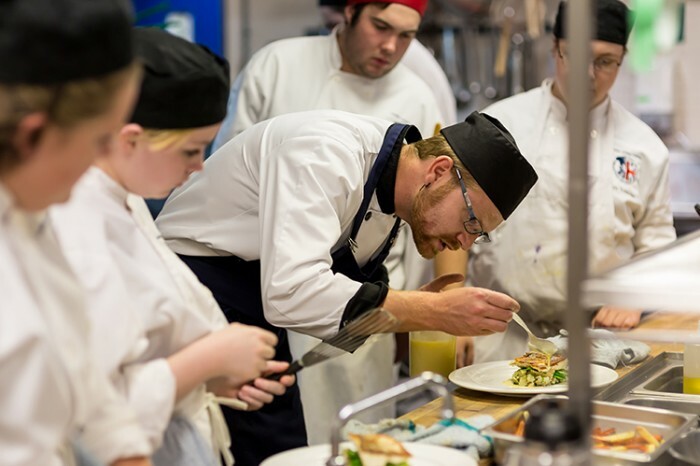 Students participate in The Art of Flavour dinners throughout the year, which provides exposure to different styles of cuisine and winemaking, as well as potential job connections. 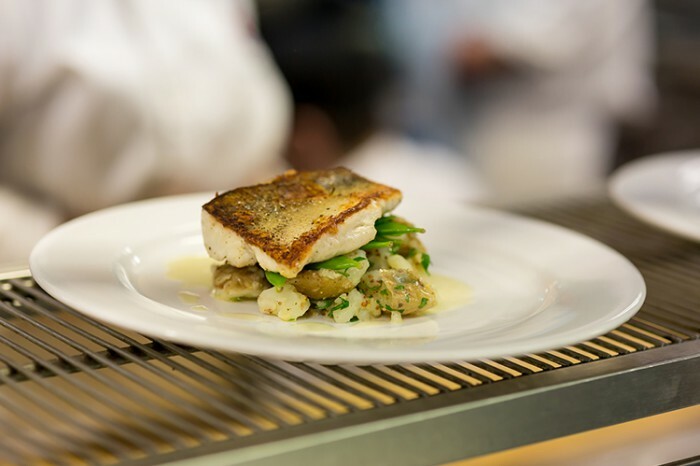 Earn first-hand experience in all aspects of culinary management — from hosting and service, food preparation, pricing and menu design, to developing marketing strategies. Students also prepare food for the Loyalist Market, a retail outlet offering an amazing variety of fresh and frozen products designed and created by Culinary students. Optional field trips provide invaluable experience in food and culture. Recent destinations include New York City, Paris, Switzerland and Portugal. Receive individual attention from licensed chefs and Red Seal pastry chefs. Faculty have a tremendous depth and breadth of experience, working in environments ranging from the Chateau Lake Louise to the Royal York Hotel, Auberge du Pommier and Rosewater in Toronto. The faculty team works closely with its advisory committee and industry partners to ensure that the program is aligned with industry demands and trends. The curriculum is delivered in ways that meet the learner's diverse needs. Students learn the most effective way to navigate a competitive job market and achieve successful employment through an introduction to job search skills, résumés, interview techniques, communication skills, portfolios and dress codes. This course also introduces concepts of workplace wellness and strategies for how to build and maintain a professional network. Students gain an understanding of the basic mathematic skills required in culinary applications such as scaling recipes, calculating costs, inventory and measurement, as well as basic MS Excel Software spreadsheet use. 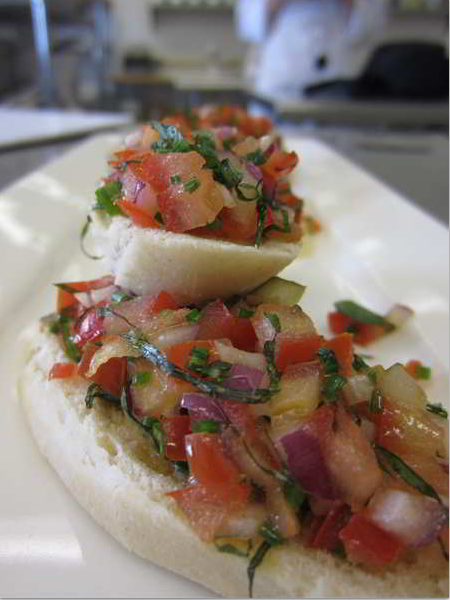 This course lays the foundation for students pursuing a career in culinary management. In this hands-on lab students will be involved in the preparation and presentation of the fundamentals of cooking essentials. 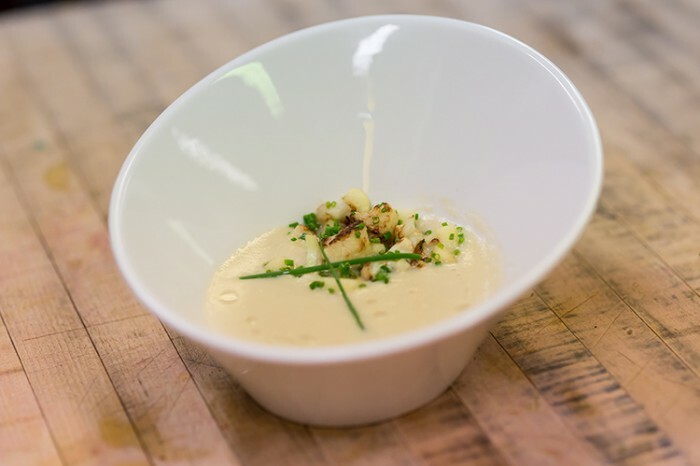 This course exposes students to experiential learning through the practical application of Culinary Techniques in a fully operational dining room and take-out style food service operation. 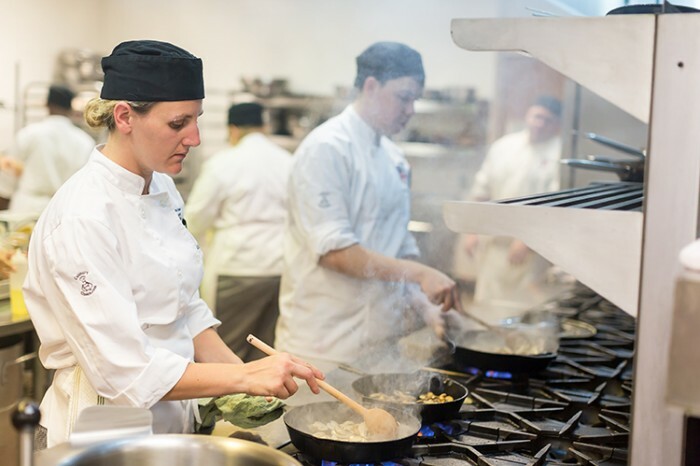 Upon successful completion of this course the graduate will be prepared to accept an entry level position in a professional kitchen or continue their post-secondary studies in Culinary Management. Extensive knowledge is required to function efficiently in a food and beverage operation. This course provides a working knowledge of basic food theory and basic professional baking fundamentals in preparation for the practical application of culinary techniques. 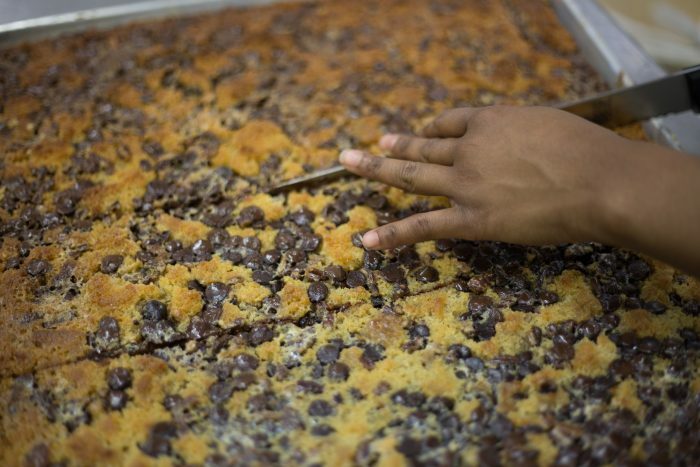 The art of baking is an essential part of the development of a chef. In this class students practise a wide variety of baking techniques in a hands-on environment. Building on the skills acquired in basic culinary techniques, students will continue to develop and refine abilities in a hands-on lab environment. 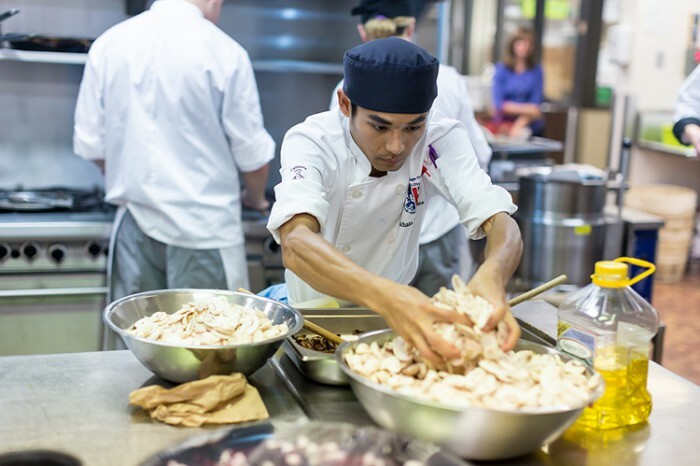 Students learn the practical application of culinary techniques in a fully operational dining room and a take-out style food-service enterprise. 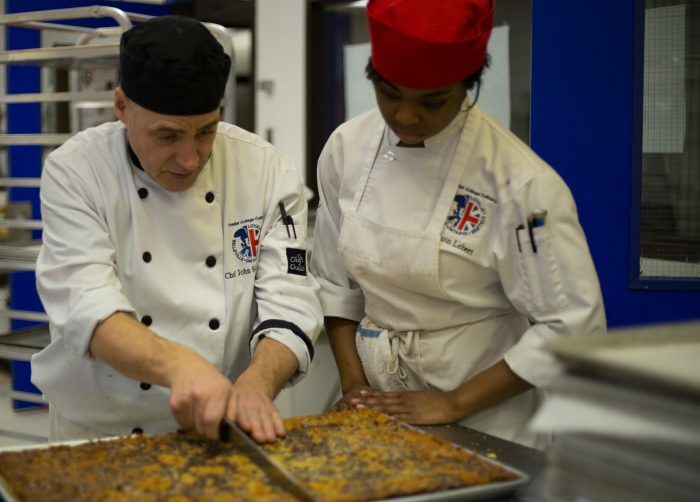 Building on the skills gained in Basic Food & Bake Theory and Practical courses, this course further develops the students’ knowledge of principles and practices relating to the production and presentation of food. Students practice planning, writing and costing for various types of menus from the sales, dietetic and cost points of view. Building on the skills acquired in basic baking, students will continue to develop and refine abilities in a hands-on lab environment. This course introduces students to the challenging world of convention and meeting planning. Students take a realistic look at the workloads and the glamour of this industry. Students experience first-hand the time commitment required for the planning stages and delivery of an event. 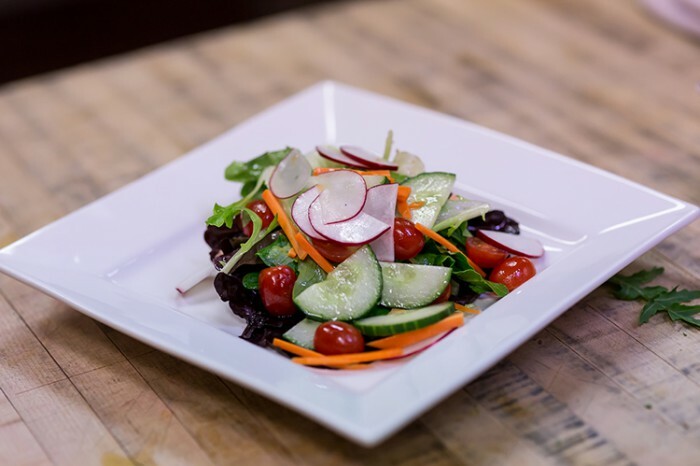 Students supervise, prepare, serve and sell a variety of hot and cold appetizers, entrees and desserts in a fully operational 65 seat licensed dining room. Students will also be involved in all aspects of the operation of a prepared meal and dessert take-out enterprise. Students develop an understanding of advertising and promotion, and the roles these play in hospitality and tourism. This course focuses on the principles and procedures involved in an effective system of food, beverage and labor controls for the hospitality industry. This course provides the fundamental research skills needed to gather information, develop processes and procedures, assess and evaluate the information and apply results to maintain efficient food, beverage, and labor cost controls. Topics include cost control procedures, food and beverage costing, labor cost analysis, pricing methods, internal controls, external influences, and inventory control methods. Today’s customer prioritizes wellness like never before; food service operations must respond with menus and options that maximize nutrition and offer ethically sourced, sustainable products while maintaining a strong “triple bottom line” that includes people, planet and profit. Preparation and presentation of high quality, high end culinary items for à la carte, buffet and banquet kitchens such as charcuterie (including sausage making, pates and terrines), hors d’oeurves and canapés, whole animal breakdown, alternative starches and more. The appeal of owning a business and “being my own boss” has some serious appeal. However, opening a business is tough work, competition is stiff and effective planning is essential. In this course, students will build a plan for a food service business that will culminate in “Dragon’s Den” style pitches. *Note: students have the option to present privately to the instructor or publicly in front of the class. 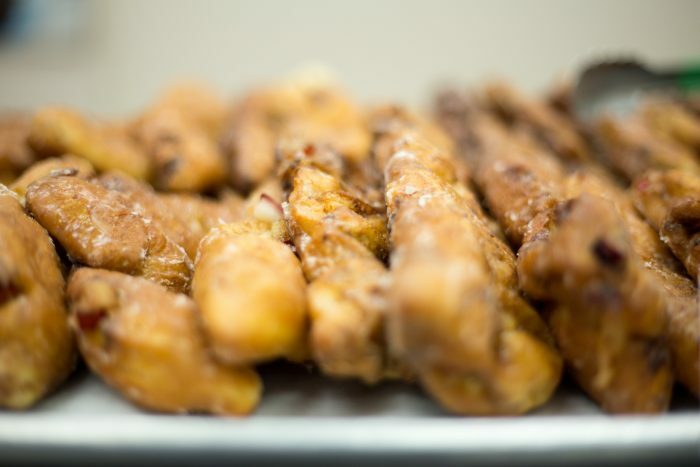 Students manage, prepare, serve and sell a variety of hot and cold appetizers, entrees and desserts in a fully operational 65 seat licensed dining room. Students are also involved in all aspects of the operation of a prepared meal and dessert take-out enterprise. Students gain an appreciation of wines, spirits and beer. The learner will explore wine making, grape varieties, pairing wine and beer with food, as well as wine, spirit and beer production service and sales. * Various potential degree pathways. Please confirm details with the receiving institution. Loyalist has a number of scholarships, bursaries and academic awards available to students. Our Financial Services Office can help you explore your options, or assist you with a student loan. OYAP Cook Level 1 graduates with an overall B average are eligible for direct entry to semester two. 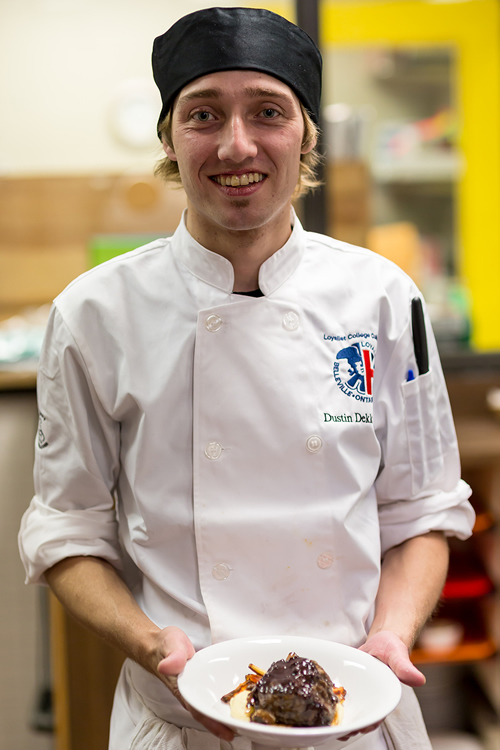 Individuals who have attained the Interprovincial Red Seal for Cooks will be granted full credit for year one and are eligible for direct entry to year two of the diploma program. Applicants with prior learning or significant related experience may be eligible for advanced standing through Prior Learning Assessment and Recognition. 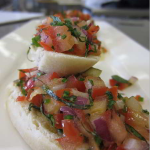 Culinary Skills students can participate in the Subsidized Education Program. 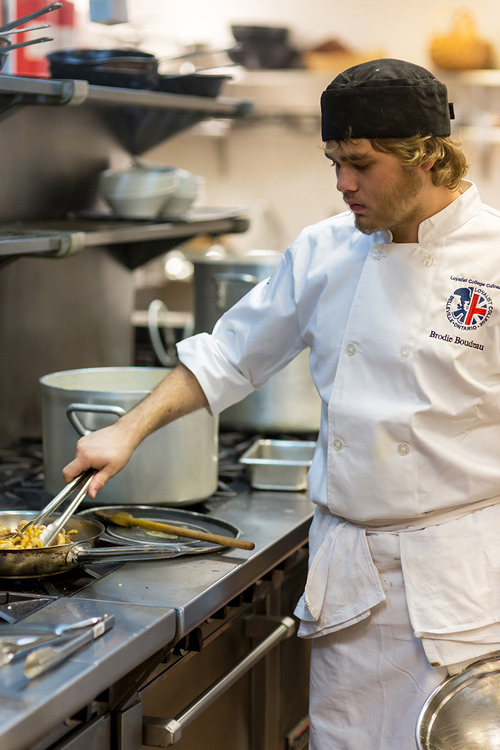 Culinary Management students have the opportunity to receive advanced standing as a Cook (Apprentice). Loyalist students get first-hand experience in all aspects of restaurant management – hosting and service, food preparation, pricing and menu design, developing a business plan, and marketing strategy – at our on-campus gourmet restaurant, Resto 213.